And while mother-of-the-bride Sarah 'Fergie' Ferguson has seen her share of drama from inside Kensington Palace, she wasn't letting the past effect her by playing the wallflower on her daughter's big day. Instead of course she practically burst out of her car at St George's Chapel, throwing her hands to the furious flag waving fans who turned out to support the rather unfortunately hashtagged #royalwedding2. 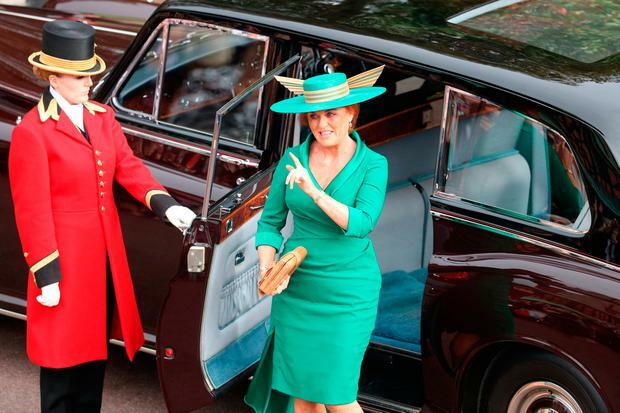 Had those royal watchers held on to the emerald green clad Fergie's fists for just a few seconds longer however, they may have noticed the mother-of-the-bride's very sweet tribute to her daughter on her big day. In a post-wedding interview with Hello!, Fergie revealed that while everyone may have been busy debating how akin to Harry Potter's Golden Snitch her Jess Collet headwear was, they may not have noticed another one of her far more sentimental accessories were - a gold bracelet inscribed with Eugenie's name, whom she said she was proud to see showcasing her scoliosis scar to inspire others. "I was so proud of Eugenie standing tall and showing her scar," she said. "She is an inspiration to young women everywhere." It's not the bracelet's first outing however - she has been wearing the piece of jewellery as far back as 2004. In the post-wedding interview the Duchess also took the chance to thank Queen Elizabeth II for her help with the celebrations. "I cannot be more grateful to Eugenie's grandmother for making this day so memorable," she said. "I am so grateful for all the hard work and kindness behind the scenes to make such a special day for our daughter." 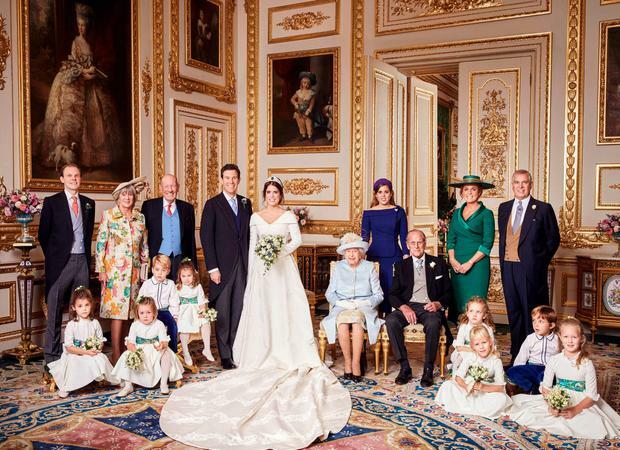 Princess Eugenie and Jack Brooksbank exchanged vows at St George's Chapel on 12th October and Robbie Williams reportedly sang his hit song Angels four times at their evening reception. The couple threw a funfair themed day after party, where they bride was believed to have worn a white mini dress with a pink silk jacket personalised with the name 'Mrs Brooksbank' on the back in silver crystals.